Location: 5701 Bothell Way NE #6, Kenmore, WA 98028, 425 – 486 – 2715. 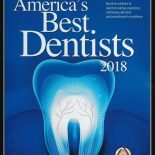 The North Seattle Restorative and Preventative Dentistry office is located in the north Seattle area between Lake Forest Park and Kenmore and overlooks Lake Washington and the Burke-Gilman jogging trail. 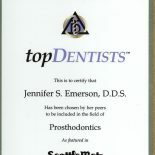 The site was selected in 1975 as an ideal location for a dental complex which would house the “most complex and comprehensive dental treatment – a center for all dental needs.” The first step was to include offices for both prosthodontics and general dental teams as well offices for the dental specialties of endodontics and periodontics. 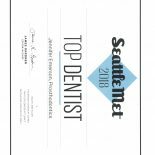 Fortuitously for current patients, our dental center continues to include a wide spectrum of dental specialties and conveniently serves patients on both sides of Lake Washington and the north end of Seattle. Head north on I-5. Take the NE 145th Street Exit #175. (Note: heading northbound on I-5, the NE 145th St. Exit #175 exits from the right hand freeway lane.) As you exit, stay right, and turn right at the light onto NE 145th Street. You will be heading east. Check your odometer. After about two miles, turn left onto NE Bothell Way (Lake City Way NE). Remain on NE Bothell Way for 3 miles, you’ll see the Lake Forest Park Shopping Center. Slow down just past Ballenger Way NE (which forms a “T” on the left and the Lake Forest Park Civic Center Club and Lyon Creek Waterfront Park on the right)! Our building is just 200 yards ahead on the right hand side. Slow down! You’ll see our sign as you gently round the corner along the north end of Lake Washington. We are the first building you pass, and the driveway comes up quickly right after the Uplake Dental Center sign. Park just inside the driveway. We are located down the ramp on the northeast end of the 5701 building, Suite 6. As you come south on I-5, take the NE 206th Street Exit #177. (Exit #177 exits from right hand freeway lane.) As you exit stay to the left side and turn left at the light onto NE 205th Street. From that point, Dr. Emerson’s office is 3miles southeast. Follow this road as it turns into Ballinger Way NE. At the “T” intersection of NE Bothell Way and Ballinger Way NE, you’ll see straight ahead of you the Lake Forest Park Civic Center Club and the Lyon Creek Waterfront Park. Turn left onto NE Bothell Way. 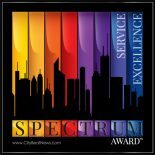 Our building is just 200 yards ahead of you on the right hand side. Slow down! You’ll see our sign as you gently round the corner along the north end of Lake Washington. We are the first building you pass, and the driveway comes up quickly right after the Uplake Dental Center sign. Park just inside the driveway. We are located down the ramp on the northeast end of the 5701 building, Suite 6. From Redmond head north on 405. Take the Bothell exit for Highway 522, Exit #23. You’ll bypass downtown Bothell on this road. The construction has helped this part of the drive. Follow Highway 522 as it becomes NE 175th St. and then NE Bothell Way. Dr. Emerson’s office is 4.4 miles on this road from the 405 exit. Continue through Kenmore; you’ll be able to see Lake Washington to your left and you’ll pass Cat’s Whiskers Road (61st Ave NE) and Log Boom Park on your left. Watch carefully for the middle turn lane so you can catch the left hand turn into the office driveway just in front of the beige Uplake Dental Center sign. You’ll cross traffic to turn into the parking lot.